1. Use a fairly small, shallow saucepan. The one I found worked the best was about 7 inches in diameter and 3 inches deep. You just need enough water to cover the egg. 2. Bring water should to not quite boiling. I brought mine to the boiling point and then lowered the temperature until it quit bubbling. If the water is boiling, you will loose a little more of the egg white in the water. 3. You don’t really need to whisk the water in a rapidly in a circle before you put the egg in. In fact, I prefer not too. 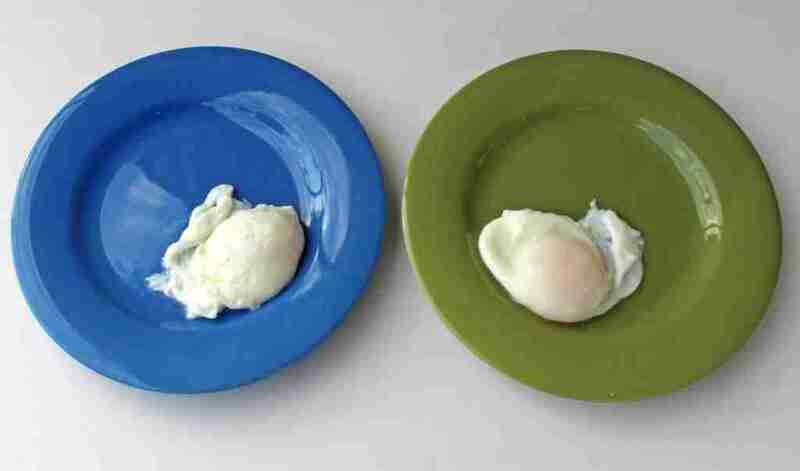 If you look at the photo above, the egg on the blue plate had whisked water, but the egg on the green plate did not. Notice the slightly stringy looking left edge of the egg on the blue plate. I got that stringiness every time I used the whisked water method. Not a bad thing, but I like it better without it. 4. Crack the egg into a small bowl before adding it to the water. This keeps you from getting shell in the water, and it is just easier to get it close to the surface the water before adding it. 5. Hold the bowl with the egg very close to the water and pour it in. 6. Some of the white will cook off, and that is ok, most of it will stay. 7. Cook the egg until it is done to your liking. I like mine cooked for about 4 minutes, but they still have a soft center after 4 minutes. 8. Remove the eggs with a slotted spoon to drain off the excess water. Remember that eating under cooked eggs does pose a health risk, so if you like your eggs on the soft side, please take that risk into consideration. For more information on egg safety, check out the Egg Safety Center. 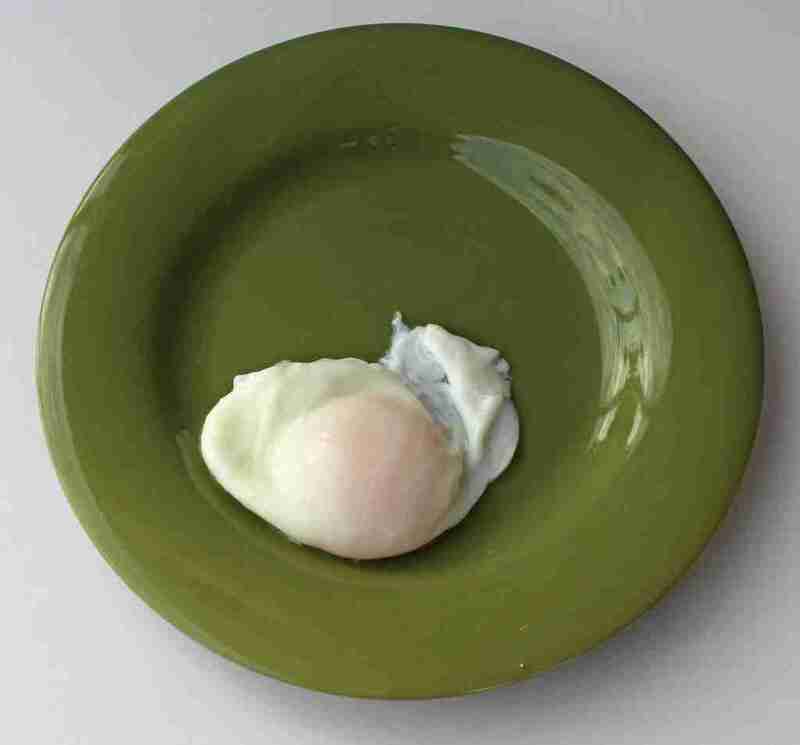 This egg was poached without using the whisked water method. This egg was poached using the whisked water method. 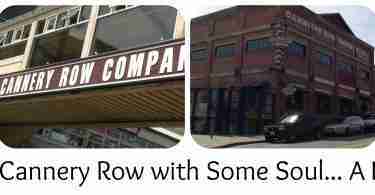 Dine and Dash – Cannery Row with Soul – A Kia Soul that is! 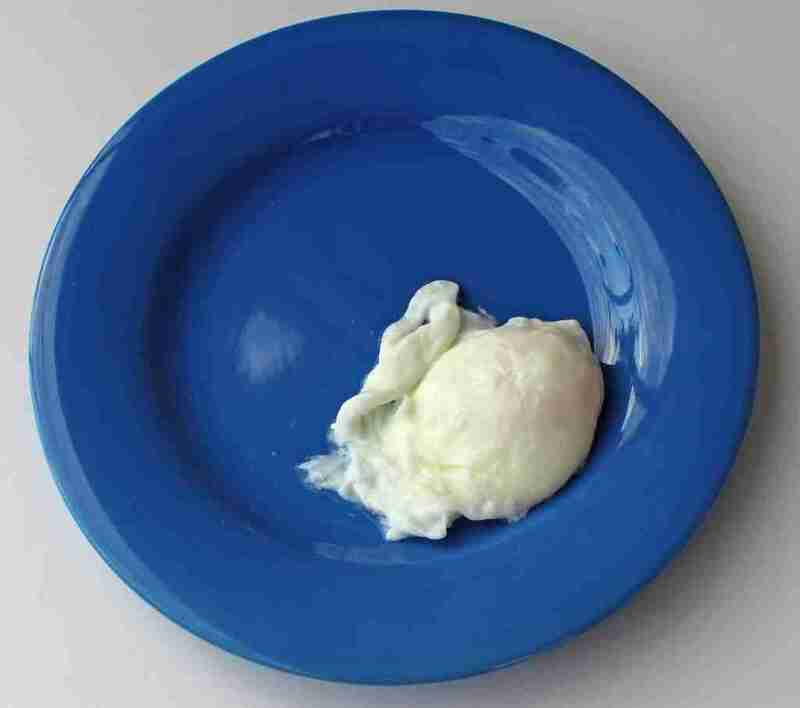 I love poached eggs! I learned the technique when I made eggs Benedict several years ago. Don’t forget to add white vinegar! It will help the egg white coagulate. Great tutorial. I’m one of those afraid to make poached eggs, so will give this a try soon. Thanks so much for sharing.